Thank you for purchasing our Naked wedding cake offer. You can now redeem your wedding cake voucher below. 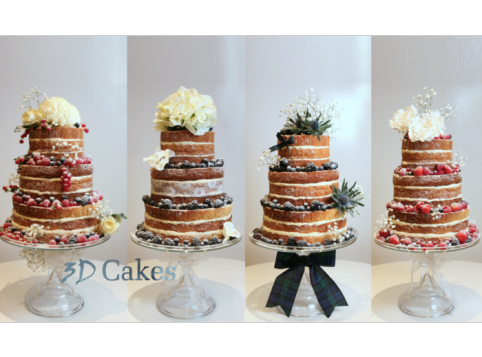 DELIVERY INFORMATION: We aim to deliver all naked wedding cakes on the day of your wedding, 1-2 hours prior to the 'Guest Arrival Time' entered on your form, to ensure your cake remains as fresh as possible. *Please confirm you have a Naked Wedding Cake Voucher or have upgraded to this voucher alreadyover the phone? Any bookings submitted here without a valid 'Naked' wedding cake voucher are automatically cancelled by the system. So please ensure you double check your voucher is valid for the 'Naked' range. Please note the maximum number of tiers available with this voucher is 5. Would you like to add 'Just Married' Bunting on top of your cake? Would you like to add a Wooden 'Just Married' Topper on top of your cake? 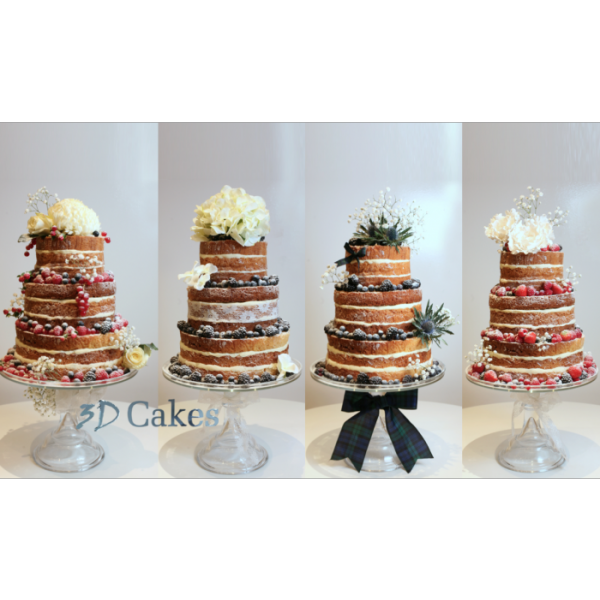 Thank you for purchasing our Naked wedding cake promotion. You can now redeem your wedding cake voucher below.